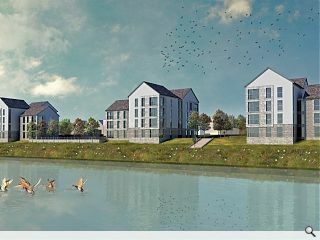 Turnberry Homes have tabled plans to build 132 new homes in a second phase of development at Yoker Riverfront, whilst extending neighbouring path and cycle networks including a riverside walkway. 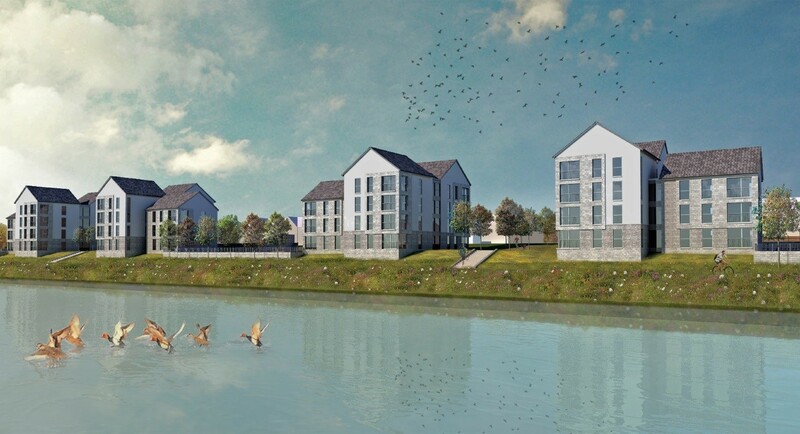 Occupying 3.4 hectares of vacant land fronting the River Clyde the scheme will see four storey flats built along the riverfront, reducing to detached, semi-detached and terraced houses to the north up to a former railway embankment turned cycle path. In their design statement Ark Architecture + Design remarked: “The development has been organised around a series of connected streets and spaces. The new access will be taken via Ellerslie Road which will lead into the site from the east along a tree lined streets fronted by two storey houses. Homes will be finished in dry dash render with cast stone details. 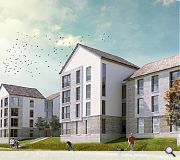 What is it with the homogenized taste for grey/white renders among developers in Glasgow? Is the modus operandi some form of architectural camouflage? 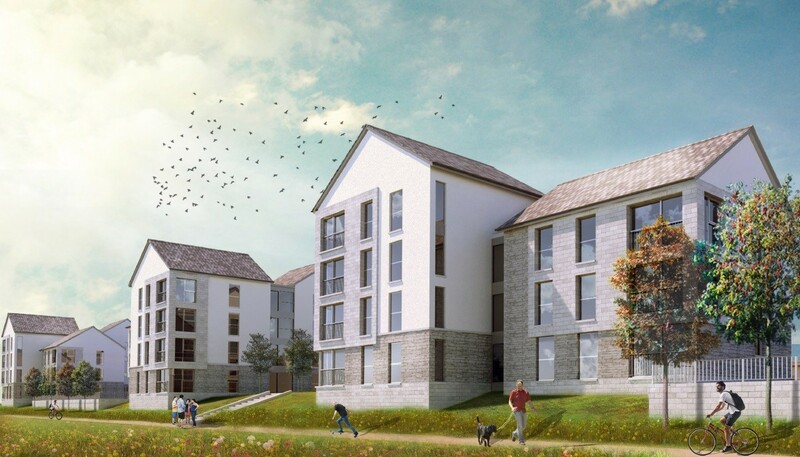 On a frequent a grey-white sky day in Glasgow these houses will literally become invisible...who or what are the developers seeking to elude/who or what are the residents hiding from- is it the same malevolent force? Well , It does create a reasonable permeability rather than form a solid wall along the riverside which is am improvement on Glasgow harbour . I wonder what flood levels they have allowed for , when I look at the ground floor level. I know its not the south of France but some articulation in the form of balconies might have been nice. a. A light, sometimes ornamental roofed structure, used for amusement or shelter, as at parks or fairs: a picnic pavilion. b. A usually temporary structure erected at a fair or show for use by an exhibitor: the French pavilion at the World's Fair. c. A large structure housing sports or entertainment facilities; an arena. 3. A structure or another building connected to a larger building; an annex. 4. One of a group of related buildings forming a complex, as of a hospital. 5. The lower surface of a brilliant-cut gem, slanting outward from the culet to the girdle. Has anyone else noticed the 17th Cent. Dutch School of Landscape painting type of rendering with that twilight sky and reflected light from the water? Or was it just me? #3 - Fully agree Wonky, why oh why do Glasgow architects persist with white/grey render? Is it all about short term gain as it is guaranteed that the building will look terrible, weather stained and dirty within 3 months of being built. And also on such a key waterfront site! Which other European city amongst those that Glasgow is competing with would allow such guff to be put up on a key waterfront site - will the planners do anything to ensure that something more fitting is allowed? I am going to start a petition to require down pipes to be shown on all architectural renderings. I want the matter discussed at Westminster.